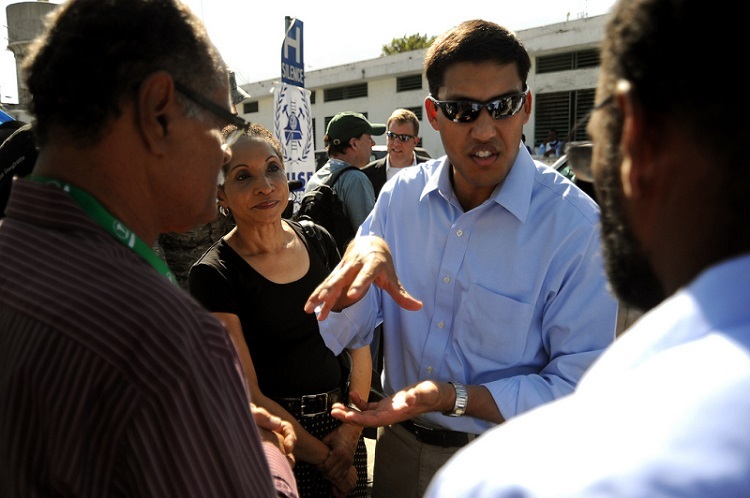 The long wait to find out who the next president of the Rockefeller Foundation will be is now over, with the big reveal yesterday in the New York Times of 43-year-old Detroit native Rajiv J. Shah’s designation to that post. Shah was already a trustee of the foundation, and until recently was the administrator of the United States Agency for International Development (USAID). At USAID, among other things, he led disaster responses in Haiti and to the Ebola crisis in Africa. (NPQ’s Rick Cohen covered his impact there as he left in 2015.) He is also the founder of The National Institute of Food and Agriculture, a federal government body whose creation was mandated in the Food, Conservation, and Energy Act of 2008. In recent years, the foundation has focused on the themes of “resilience” and “inclusive economies.” That has resulted in programs aimed at establishing “resilience officers” in 100 cities to focus on disaster relief and a plan that is sending 100,000 inner-city students to see the musical Hamilton. These efforts have struck critics as public relations stunts more than meaningful agents of change. And Ms. Rodin has drawn fire for spending too much time with corporate partners and not enough time with the recipients of grants. It will be interesting to see what direction Shah takes as he adopts the Rockefeller mantle, but we must presume he knows the inherent dangers and opportunities of the position. Shah is no stranger to mega-philanthropy, having spent almost a decade at the Bill and Melinda Gates Foundation, finally holding the position of director of agricultural development. He has advanced degrees in medicine and health finance. He is also, like Rodin, an avowed fan of public-private partnerships. In fact, according to Rodin, his experience with such partnerships is one of the things that recommend Shah for the position. Rajiv Shah, the Rockefeller Foundation’s new leader, speaks out about creating collaborative philanthropy and what’s next for the influential funder.